Offered here is a collection of three single signed baseballs. The first ball in this lot, an Official American League Bobby Brown ball, has been signed on the sweet spot in blue pen by Jose Canseco. 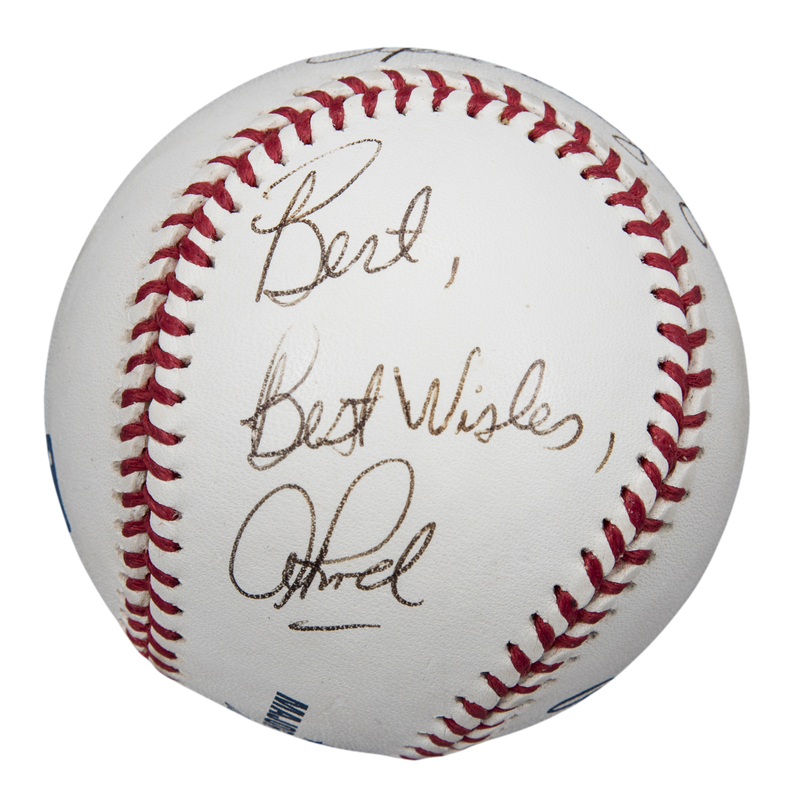 The second baseball is an Official Major League Allan H. Selig ball signed on the sweet spot in black pen by Alex Rodriguez. On the panel south of the sweet spot, Rodriguez wrote “Bert, / Best Wishes, / Arod” in black pen. The final ball in this lot is a second Official Major League Allan H. Selig sphere. It has been signed on the sweet spot in blue pen by San Francisco Giants catcher Buster Posey. Each ball in this lot comes with a COA from Beckett Authentication Services (Rodriguez: F63935, Posey: F63936, Canseco: F63937).